Boy are we having a productive week. I’m on fire writing and editing and the guys are working hard on all fronts. Palladium and its host continue to investigate and make changes that should resolve our recent spate of crashing forums and message boards. At one point we feared the site was under attack, but there is no clear evidence of this. We have taken a number of actions that should resolve possible and potential problems. Time will tell. Please have patience. We’ll be making additional changes in the months to come. 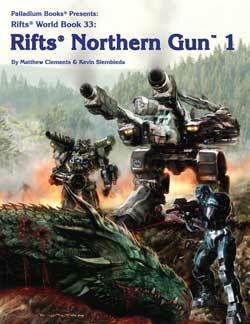 I have had a very productive week of writing and editing on Rifts® Northern Gun™ One and loving every minute of it. Chuck Walton is bringing by a few additional pieces of art this afternoon and Alex and Wayne have editing on their desks. I think you’ll be very pleased with the final product. 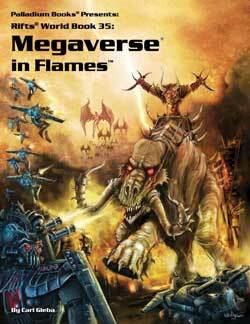 And we have a surprise for our Megaverse Insider crowdfunding supporters who have been so patient and understanding. Can hardly wait till this book is at the printer. Chuck Walton and other artists have dived back into this dynamic book with more information on the power armor and gear of Northern Gun. 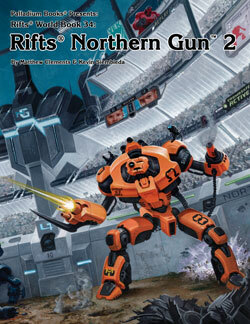 If I can swing it, I want Rifts® Northern Gun™ Two at the printer before we leave for Gen Con. August release. We are putting 90% of our energy into getting the new titles you have been waiting for into your hands. This is another book I can hardly wait to drop into your laps. I have sent out more text to be illustrated and will be working on it immediately after NG-2 is at the printer. 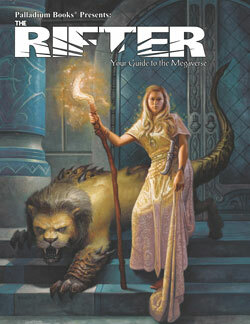 I have already approved the printer proof and The Rifter® #63 is scheduled to ship July 25. I absolutely love this issue. All the material is fun and compelling and I especially enjoyed the Fantasy and BTS material. This issue contains monsters, mayhem and secrets for Palladium Fantasy RPG®, adventure generation tables for Beyond the Supernatural™ that are wonderful, helpful and easy to use, and secret information about the Coalition’s Psi-Battalion for Rifts®. And Robotech® fans will go crazy over the massive photo spread of the 90+ sculpts for Robotech® RPG Tactics™. Everyone who has seen this spread had gone wild over it. Plus news and coming attractions. A very fun issue. The typesetting is done and Wayne Smith is probably laying the book out even as you read this. In fact, it should be sent to the printer by Friday or Monday. 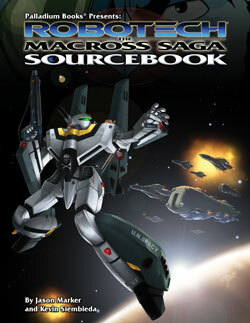 Robotech® The Macross® Saga Sourcebook is being re-released as an 8½ x 11 sourcebook. 128 pages – $16.95 retail – Cat. No. 551. Available in August. 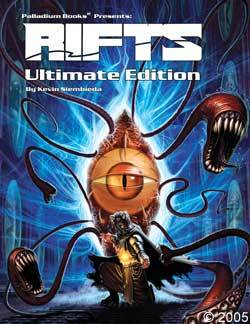 As reported last week, Rifts® remains Palladium’s most popular game line ever, so we wanted to make sure the Rifts® Ultimate Edition hardcover didn’t run out. Same core material. Same price. Same quality. 376 pages – $39.95 retail – Cat. No. 800HC – Available now. Coming this Fall. More about it in future Updates. Like I said last week, I don’t want you to think it was forgotten. And there’s more to come. 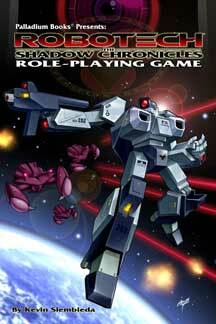 UPDATE: Robotech® RPG Tactics™ – Pledge Manager – Today! We have gotten most of the Survey responses back, so Palladium will be sending out invitations to the Robotech® RPG Tactics™ Pledge Manager later TODAY. It is in this step that backers are able to select all the Add-Ons they wanted as well as purchase additional Add-Ons! That’s right, you can purchase as many additional Add-Ons as your heart desires, in any quantity. Watch for your invite! Our marketing push for ALL Palladium game lines is gearing up, especially as we strive to release several new titles and books back in print over the next few months. Conventions and advertising are a big part of that push, but so is word of mouth. Spread the word about the books that come out that you love. As promised, I have been posting more Murmurs from the Megaverse® as well as on Facebook and answering my private messages and emails. I want you in the loop. This effort was hampered by our server and website problems, but I’ll be back posting away. A mini-Palladium Open House. We have a BIG gaming and marketing opportunity with Detroit Fanfare (in Dearborn, Michigan, October 26-27, 2013). It looks like we can get enough volunteer Game Masters (thanks G.M.s – and more are welcome to join the fun), so now we just need gamers to attend. If we make a good showing running games and bringing in more gamers, we might be able to make Detroit Fanfare an annual mini-Palladium Open House. And why not? The convention site is only 20 minutes from the Palladium office. It’s all about books now . . .
That’s all we’re working on and thinking about. Rifts® Northern Gun™ One, Rifts® Northern Gun™ Two, Rifts® Megaverse® in Flames, and Robotech® UEEF Marines should all come out in rapid succession. And we have several other sourcebooks for Rifts® Chaos Earth™ and Splicers® waiting in the wings. Meanwhile, I expect to get the finished Rifts® Sovietski World Book at Gen Con, a manuscript for a new Rifts® sourcebook arrived in the mail last weekend, and a couple books for Heroes Unlimited™, Beyond the Supernatural™, Palladium Fantasy®, and others! Just the other day I was telling Julius and Wayne about an idea for a new Dead Reign™ sourcebook. As you can see, our imaginations are working overtime. How about yours? Game on. 96 pages – $11.95 retail – Cat. No. 163 – Ships July 25.